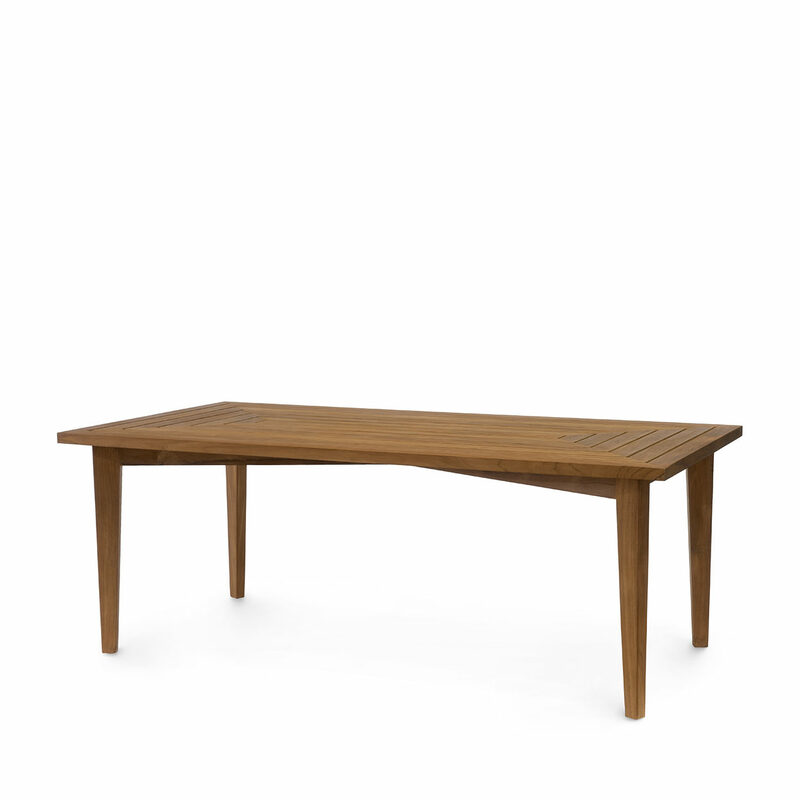 Teak wood top and legs in a natural golden brown finish. Table ships KD. Simple assembly is required. Coordinates with the Amalfi Collection. Ships KD; some assembly required.